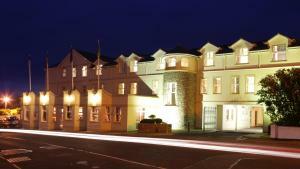 The Strand Hotel is found in Ballyliffin Village on the Inishowen Peninsula. Overlooking Pollan Bay, its accommodation is joined by a restaurant, bar and pretty garden and offers free Wi-Fi and private parking. 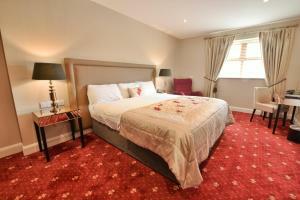 All rooms at The Strand have an en suite bath or shower, TV and tea and coffee facilities. 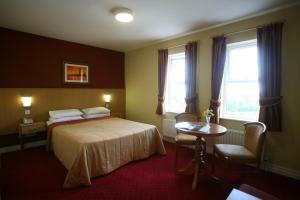 There is an iron, hairdryer and telephone in each room, and most have views of the sea and Ballyliffin golf course. The hotel's Glashedy Restaurant serves meals throughout the day, and caters to all dietary requirements. The Strand Bar serves drinks and food from lunchtime, including a children's menu. A large, well-kept garden has plenty of seating areas to relax and admire the views. On Ireland's far-northern coast, Ballyliffin is around 40 minutes' drive from the vibrant city of Londonderry in Northern Ireland, while locally you will find a golf course and the Glenevin Waterfall less than 10 minutes away. Situated in picturesque Ballyliffin, in Co Donegal, Ballyliffin BnB offers free parking and easy access to the beautiful Irish countryside and rolling hills. Tollagh Bay is a 10-minute drive from the BnB and Ballyliffin Golf Club, boasting far-reaching views of Glashedy Island and Malin Head, is less than a kilometre away. 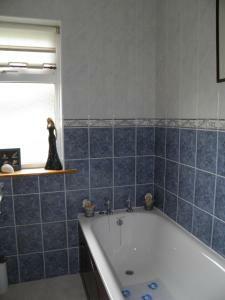 Each room at Ballyliffin BnB features an en suite bathroom, a TV and free Wi-Fi. 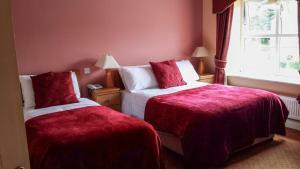 Some rooms offer scenic views of the countryside, Malin Head, and Ballylifffin Golf Club. A hearty breakfast made of locally sourced, high quality ingredients, is served daily and it includes the Ulster Fry, homemade breads, a selection of cereals, fresh fruit and yoghurt. Derry is 40 minutes' drive away and Fort Dunree, with its exhibitions and panoramic views, is 14 km from the BnB. Doagh Famine Village is 10 minutes' drive from the property and Glenevin Loop Trail and Waterfall are located less than 4 km away. 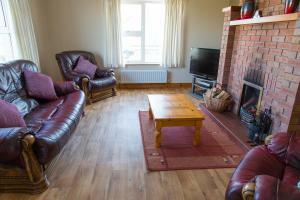 Boasting a shared lounge, Doherty's Country Accommodation is situated 1.2 miles from Ballyliffin village. Clonmany village is 2.5 miles away. Free WiFi is included. Guest rooms in the bed and breakfast are fitted with a TV. Every room has a private bathroom. All units will provide guests with a wardrobe and a kettle. A Full English/Irish breakfast is served every morning at the property. Ballyliffin Golf Club is 350 yards away. 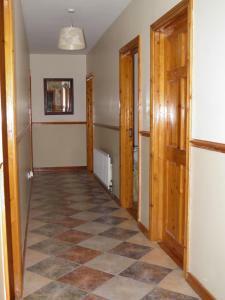 Londonderry is 20.5 miles from Doherty's Country Accommodation. Belfast International Airport is 82.6 miles from Doherty's Country Accommodation. 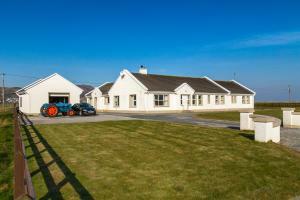 The Ballyliffin Hotel is situated on the beautiful Inishowen Peninsula in Donegal. 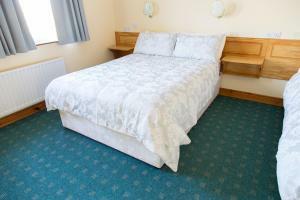 It offers rooms with satellite TVs and power showers, a fine dining restaurant and free parking. A playroom for kids and teenagers is available and comes with a Playstation 3. Rooms at the Ballyliffin Hotel are all accessible by a lift and feature hairdryers, luxury toiletries and tea/coffee making facilities. Some rooms have view of Pollan Bay. 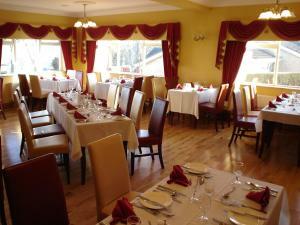 The Cruckaughrim Restaurant has an a la Carte and Table d’hôte menus. The Rachtan Bar has regular live Irish music and a bar menu. Ballyliffin Golf Club is under a 10-minute walk away. Water sports and fishing are available at the nearby beaches. This award-winning, 4-star leisure complex boasts fantastic views of Malin Head, a rock crystal spa, and a 20 yards pool. 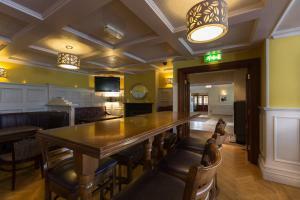 Guests can relax in the hot tub and enjoy fine dining, or visit the famous Ballyliffin Golf Club just 1 miles away. Elegant and warmly furnished, every room at Ballyliffin Lodge Hotel & Spa has its own en suite bathroom with a hairdryer, free Wi-Fi, and an in-room safe. 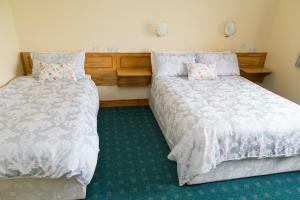 Guests can make use of a telephone, TV, and tea/coffee facilities in the room. The Lodge Leisure Complex features a relaxing sauna and steam room, as well as a modern gym and air-conditioned aerobics studio. A wide range of exercise classes, including aqua aerobics, step, and swimming are available. With views of the Donegal Inishowen coastline, the open-plan Jacks Bar and Restaurant serves buffet breakfasts, lunch, afternoon tea and evening meals. Free parking is provided, and Ballyliffin Golf Club is only a 2 minutes’ drive down the road from the hotel. Ballyliffin Lodge offers an indoor children's play area on-site, and there is an outdoor children's playground located at the nearby beach. Guests with pets can make use of kennels located within a mile of Ballyliffin Lodge. 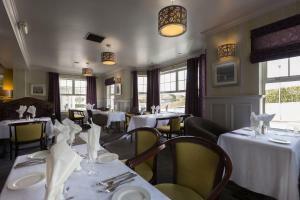 Located in Ireland in Ballyliffin, Ballyliffin TownHouse Hotel is a family-run property with a restaurant, bar and terrace. Free WiFi is available throughout and there is free public parking on site. Offering sea views, each room comes with a flat-screen TV with satellite channels, a wardrobe and tea and coffee making facilities. 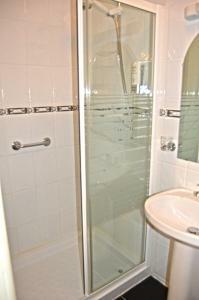 They also have an en suite bathroom with free toiletries, bathtub or shower and hairdryer. Guests can go golfing at Ballyliffin Golf Club, 2.8 km away. They can also relax in Tullagh Bay, 5.1 km away or in Pollan Bay, 1.5 km away. Londonderry is just 28 miles away.